Description: A revolutionary innovation from Japan. Beadweavers are raving about the Tulip beading needles. After testing them out myself, I will never use another brand of beading needle ever. These needles last through many projects and one needle may last you months. They may be pricier than other needles in the market (Pony, John James, English, and other beading needles) but you won't have to replace them as often. 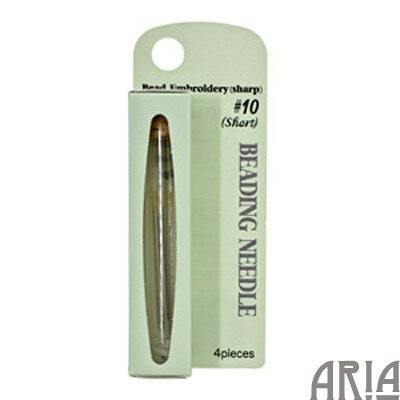 - The tip is slightly rounded to avoid splitting the thread unlike other needles. - The eye of the needle is gold plated to make threading easier. There are no burrs!